Voluntary enlistment numbers were still sluggish, as the graph shows, despite vigorous recruitment campaigns and shaming of ‘shirkers’. 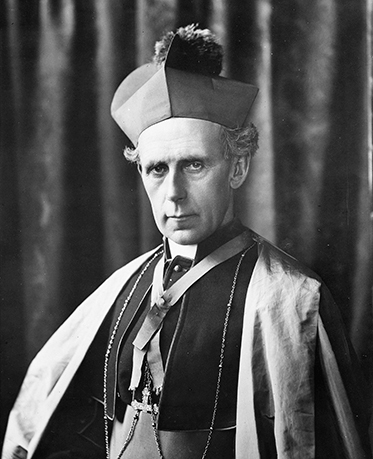 By early November, Hughes, under pressure from others in the government, led by former Attorney-General, Sir William Irvine, and pro-conscription forces outside, plumped for a second referendum. (Irvine had actually preferred that Parliament legislate for conscription, bypassing a further referendum, since a referendum would involve ‘an appeal to emotion’, particularly the emotion of women.) Cabinet agreed to the referendum on 7 November. The Government [Hughes announced], in view of the increased gravity of the military situation, and being satisfied that the voluntary system of recruiting has proved itself inadequate to reinforce our armies, has decided to ask the people immediately by referendum for authority to raise by compulsory service the number of troops necessary to maintain our five divisions at effective strength. The news of the successful Beersheba charge had started to come in on 5 November and may have been the final trigger for a government decision. At the best Russia as an effective factor in this great struggle is no longer to be counted on … Italy will fight on, and France will stand fast to the end, but the brunt of the responsibilities of the war must fall on the shoulders of the English-speaking peoples. Until America has organised her great resources, civilisation looks to the British Empire to uphold its rights. Every dominion must play its part. Australia must do her share. To do this it is necessary to raise 7,000 men a month. We cannot do with less. Voluntary recruiting has failed. From January 1 to the end of October it has provided only an average of 4,000 men a month. It has not failed from lack of men. Making liberal allowances for the medically unfit, there are over 500,000 men in Australia, between the ages of 20 and 44, who are fit for service. It has failed because of a systematic campaign of poisonous doctrines insidiously disseminated throughout the country. Those who were responsible for the defeat of conscription on October 28 last are responsible for the failure of the voluntary system. The Ministry, faced with a situation which makes the reinforcement of our armies vital to our existence, now declares plainly to the people that it cannot give effect to a win-the-war policy unless it is clothed with power to act as the circumstances demand. More from Jeff Kildea on civil division, particularly Irish Catholics versus Protestants, and a famous egg at Warwick. The news that M. Lenin, that shady Russian with the odor of Teutonism thick about him, and M. Trotsky, his able lieutenant, have made themselves masters of Petrograd, and declared for an immediate peace, will hardly come as a surprise … That M. Kerensky will allow the forces of disorder to take charge of Russia is, to those who are acquainted with his character, extremely unlikely. His counterblast may certainly be expected. Either he or Lenin and Company must go down. The confused reports from Russia – and the big conscription news at home – meant that the significance of these events on the other side of the world took some time to sink in. As late as 15 November, the Brisbane Daily Mail (reporting news dated two days before) was still asking ‘Who rules? 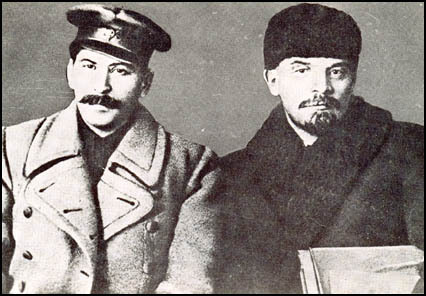 Kerensky or Lenin?’, though it was able to reprint a proclamation from Trotsky as Bolshevik Minister for Foreign Affairs. On 17 November, the Newcastle Northern Times, slightly tongue in cheek and mixing its metaphors, was unable to tell who out of the ‘monied and cultured’ supporters or Kerensky and the Bolshevik ‘hoodlums’ was ‘top dog’. But on 19 November, the Adelaide Journal carried a London report from the day before that the Bolsheviks had re-entered Petrograd with bands playing. And that seemed to be that, for the time being at least. The hope of the Soviets is to establish in Russia a perfect social regime. Other revolutionary committees in other times and other countries have had similar hopes for themselves. Their dreams have been falsified, the wreckage of their endeavours litters the shores of history. With whiskers bold and free. And neither, I think, does he. It is easy enough for people in other lands to ask why the Russians don’t do this thing or don’t do that. Give them a chance and they will do whatever can be done by human agencies and do it well, because they are carried along to achievement by the greatest power in the world, which is the faith and feeling of democracy. As to the war, the Woman Voter pointed out that the apparent change of regime in Russia freed its allies from constraints on criticising Russian war atrocities. Russia is for all practical purposes out of the war the authorities tell us, so, for the first time, we hear of “Russian atrocities,” such as “The Bolcheviks’, military adherents arrested hundreds of women soldiers and handed them over to the licentious treatment of drunken soldiers in the various barracks. The Bolcheviks had previously armed thousands of young, undisciplined factory workers, forming the so-called Red Guards. They are capable of any atrocities. They have massacred batches of captured Cadets (Constitutional Democrats) with the utmost brutality …” Were Russia still the Russia that entered the war, would such atrocities ever have been reported? For background on the second conscription referendum see particularly, Joan Beaumont, Broken Nation: Australians in the Great War, chapter 4.